An elimination reaction in which a proton from the beta (b) position is removed together with the leaving group, forming a double bond. Let’s use cyclobromine as an example. In the reaction below, you see bromine attached to the alpha carbon position ( α ), while the hydrogen is attached to the beta position ( β ). 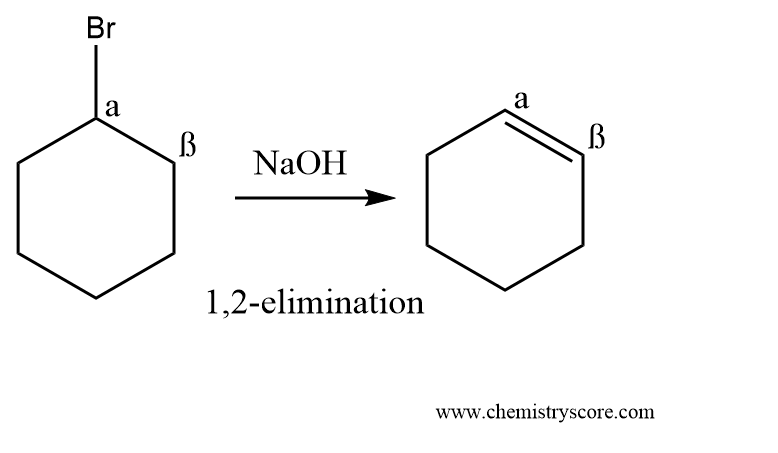 In this reaction, the hydrogen is removed by NaOH, kicking bromine off and forming a cycloalkene.